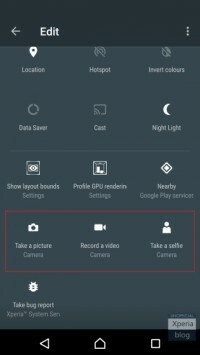 A new experimental update pushed to the Sony Xperia X Concept firmware brings the build number up to 38.3.A.0.83 and the return of a feature that replaces the older STAMINA mode from before the days of Android’s Doze. 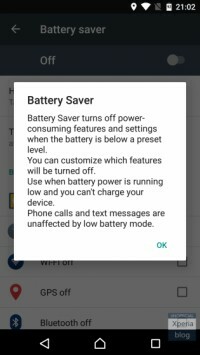 Sony’s new ‘Battery Saver’ aims to bring some of the features left behind with STAMINA mode. Back before Android brought Doze in Marshmallow, Sony had its own battery saving solution called “STAMINAmode”. It worked software magic to reduce power consumption without a major hit to performance. When Xperia phones began updating to Marshmallow, the feature was removed to give way for Android’s Doze. 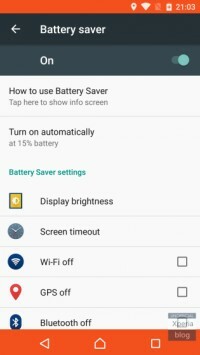 Battery Saver and its settings. You can set the mode to come on when the phone’s battery drops below any level under 50%. You can control what radios turn off when you’ve enabled Battery Saver. Sony also added VoLTE support for additional carriers: Vodafone in Spain and Three/EE in the UK. 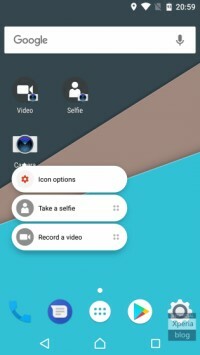 Another part of the update are some new camera shortcuts in both the Quick Settings menu and in the tap-and-hold menu, directly from the launcher. I cannot remember when was that . can you please tell us when was it ? I'm still using Stamina Mode, on Sony SP. Works very well.